Yes it can rain in Phuket, but don't stress our rainy day activities guide will save the day. 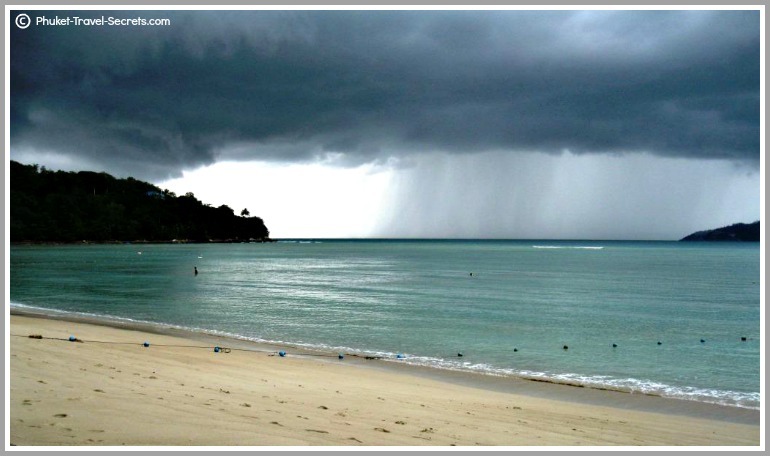 Over many years we have had our fair share of rainy days in Phuket. Imagine four kids, three adults on a 14 day holiday, the first 5 days are monsoonal rain, followed by days of intermittent rain. So what do you do when it rains in Phuket? You have to find rainy day activities and things to do with kids, but still enjoy your own holiday. If you choose to take your holiday to Phuket during the monsoon season, which is from May to October, you will enjoy cooler weather, not cold it's never cold in Phuket. Although the chance of rain during this time of the year is higher, especially around September and early October. What makes it hard, is that the beaches at this time of the year are unsafe to swim in, with high seas and rip currents. If the kids can't go swimming at the beach, you need to know what activities there are to do before bored kids become grumpy kids. Below is a list of rainy day activities that we have found and enjoyed when it's raining in Phuket. The Upside Down House & Maze in Phuket is a new attraction to the Island and a great rainy day activity. 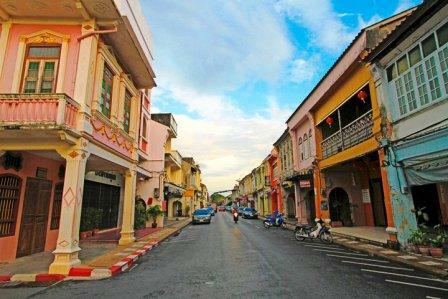 Phuket has much more than just beautiful beaches.. 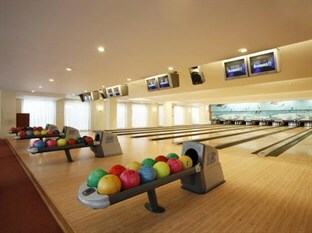 Kids love recreational activities like ten pin bowling, and there is no shortage of bowling alleys in Phuket. So if it is a raining you might like to take the kids and enjoy a couple of rainy day games at one of the following bowling alleys. One of our kids favorite rainy day activities is to go to the movies. Phuket currently has three cinemas, SF Cinema City at Jungceylon in Patong. 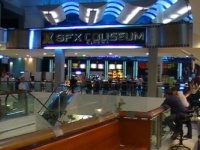 SFX Coliseum at Central Festival and Coliseum Paradise Multiplex, are both located in Phuket Town. All cinemas show a mixture of the latest Western, Asian and Thai movies. Western films are either in English with Thai subtitles or dubbed in Thai, Asian films are dubbed in Thai, and most Thai films have English subtitles. Check details carefully before you buy your tickets. Who cares if it rains when you can spend a full day of family fun in the water! The whole family will enjoy a day at Splash Jungle Waterpark, especially the kids. This water park features a Lazy River, a Wave Pool, an Aqua Play Pool, a Super Bowl, and Boomerango ride as well as many other water-slides that vary in different height and speeds. For Mum & Dad there is an Igloo sauna or hot spring to relax in. The park is open daily from 10.00am to 5.45m. 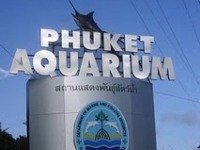 Another great rainy day activity that can be enjoyed by all is to head to Cape Panwa and spend a few hours at the Phuket Aquarium. The aquarium is surrounded by some of the most beautiful scenery, making it a perfect destination for the whole family as well as providing educational activities for kids. 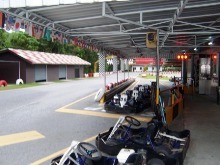 Whilst this is not an indoor activity, the Go Kart Speedway is lots of fun and a great day for the whole family especially when the track is wet. To make a fun day out that much better also have a go on the Off-road Fun Park track, located next door to the speedway. This is not suitable for the kids, but some adults might find bungy jumping a thrilling rainy day activity in Phuket. In Phuket you can experience the ultimate adrenaline rush at one of two bungy jumps. 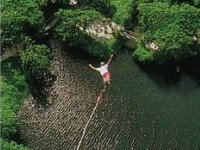 Jungle Bungy Jump operates to New Zealand safety standards, and is located in Wichitsongkram Rd Kathu and only 10 minutes from Patong Beach near the go-kart track. World Bungy Jump is the highest bungy jump in Southern Thailand at 60 metres (197 ft), located at Patong Park only 2 minutes from Patong Beach in Soi Kebsap 2, Sai Nam Yen Rd Patong. It doesn't matter if it is raining or not, with this activity your going to get wet anyway. 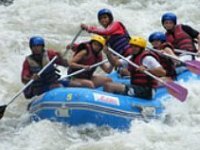 White water rafting has been voted one of Phuket's best day tours and a great adventure especially in the rainy season from May to October. ATV's provide a fun way to explore Phuket, discovering the local villages, farms, plantations, waterfall and the unspoiled environment. An adventurous way to explore the secret side of Phuket. For a full day of fun activities for kids and adults, you really should go to the Phuket shooting Range, where you will find lots of rainy day activities and things to do with the kids all in the one area. 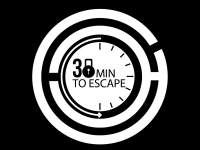 Activities here include an indoor shooting range, clay pigeon shooting, paintball, airsoft guns and archery. You will also find a racing cart track, ATV adventure, elephant trekking, a monkey school, a cobra show and Kinnaree House that has a fantastic selection of gift-ware and souvenirs along with a Tea Museum. 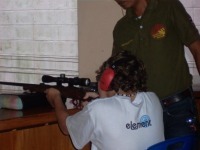 The Shooting Range is located at 82/2, Patak Road Chalong. 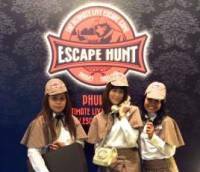 Or as an alternative if you just want to shot a gun you will find a Shooting Café conveniently located on the ground floor of Jungceylon. Thai boxing is one of the most popular spectator sports in Thailand. 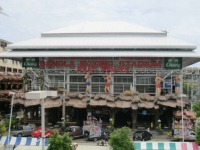 If your staying in and around Patong can enjoy night time entertainment in a specially built boxing stadium that is located on Rat-U-Thit Road. 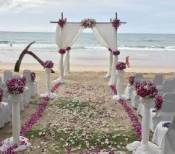 Explore the temples and shrines in Phuket. 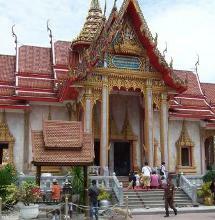 Our personal favourite is Wat Chalong the largest and most visited temple in Phuket. This is one of the best rainy day activities, especially if you love the exotic flavours of Thai food, and wish that you could cook like this at home? By spending a couple of hours at one of the Thai Cooking Classes in Phuket you will be able to cook up delicious Thai food for your family and friends back home. If you are staying in Patong, one of the best restaurants and cooking schools is Pum Thai Restaurant & Cooking School. There are two sessions per day with morning classes starting at 11am and the afternoon classes starting at 4pm. Pum Thai Restaurant is located in Rat-U-Thit Road at Patong Beach, not far from Jungceylon. With seven different types of classes and prices starting from 450 baht for 1 dish and a recipe book. You can check out Pum Thai Restaurant & Cooking School for up to date pricing and types of classes available here. Ladies, if the above rainy day activities are not for you, don't despair. Send the men and kids on their way and try some of the following rainy day activities in Phuket at your own leisure. Rainy days are a great excuse to go shopping and in Phuket there is definitely no shortage of shops and lots of bargains. 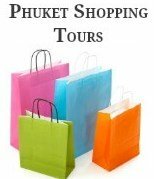 The best way to go shopping in Phuket, without any hassle and to find the best bargains is to join in on one of the shopping tours. Or if you are in Patong and have an umbrella handy and are looking for good billabong shorts or shirts head to Otop located just behind the Holiday Inn. There is a selection of department stores to browse around including Jungceylon, Central Festival, Robinson's and the Big C where you can spend many hours. One of my ultimate rainy day activities in Phuket includes a good Thai massage or if you really want to spoil yourself, visit one of the many Day spas in Phuket. Who wouldn't enjoy a day where you can relax and rejuvenate your body, mind and soul.